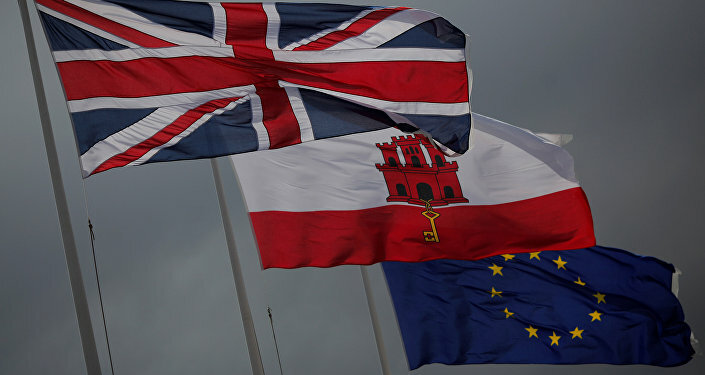 Late last year, Fabian Picardo, the chief minister of Gibraltar, stressed that the UK will maintain its sovereignty over its overseas territory and that London is negotiating its post-Brexit relations with the EU on behalf of the “whole UK family”, of which Gibraltar is part of. The continuation of “ancient conflicts” over Gibraltar ahead of the UK’s withdrawal from the EU may entail serious consequences for Spain, a study by the Madrid-based Elcano Royal Institute think tank has warned. The study stressed that such conflicts “must be left behind and innovative solutions are needed to achieve a mutually beneficial solution” on the matter. Brexit, which “will be harmful to both parties”, may prompt imports from Spain to Gibraltar to plummet by between 11 and 18 per cent, which may affect “both sides of the border”, according to the report. “Unilateral proceedings like closing the borders or increasing restrictions will be harmful to both economies. In a hard Brexit the flows of goods, capital and labour will no longer be ensured or protected and non-tariff barriers will rise”, the survey pointed out. It also cautioned that the UK’s departure from the EU will most likely entail “remarkably negative consequences” for the economy is set to cause “negative consequences” for Spain’s Campo de Gibraltar region, with a hard Brexit expected to be particularly damaging. The study was released after Gibraltar-related tensions between London and Madrid escalated earlier this month when a Royal Navy gunboat faced down a much larger Spanish vessel which entered British-controlled waters off Gibraltar and refused to leave for nearly two hours. Situated in southern Spain at the strait between the Atlantic Ocean and the Mediterranean Sea, Gibraltar has been governed by Britain since 1713, when Spain ceded it to the UK. However, in recent decades, Madrid has attempted to negotiate an eventual return of its sovereignty over the territory. Among other things, Britain's looming exit from the EU raised concerns about whether the flow of goods and people along Gibraltar's border with Spain will be affected. In a separate development this month, the UK and Spain clinched an agreement detailing stricter rules on the tax residency of businesses and individual residents in Gibraltar. The goal is to keep Gibraltar from increasing its competitive advantage after Britain leaves the EU, due to Gibraltar's lower tax rates of roughly 10 per cent for businesses and the financial industry, compared with Spain's 25 per cent. The region's residents rejected the idea of Spanish sovereignty in 1967 and joint UK-Spanish authority in 2002. Gibraltar is slated to exit the EU, together with the rest of the UK, in March 2019, though plans for an extension have been agreed. Earlier this week, the European Union agreed to grant Britain a delay to the original departure date of 29 March. The UK has time to decide until 22 May if its parliament passes the withdrawal deal next week, and until 12 April if it does not.